The only thing worse than being a designated driver in wine country is being Superman in Yankee Kryptonite. Well, turn your X-ray gaze toward I Left My Car in San Francisco. Because they like to save lives, the luxurious Napa River Inn's rolling out ILMCISF, a sweet deal that eliminates driving from the wine country equation by sticking you on a Bay ferry and a shuttle and then...boom, you and a guest're in downtown Napa armed with hella walkable perks that would cost you several hundred more sans package, aka how they should've made Sideways. 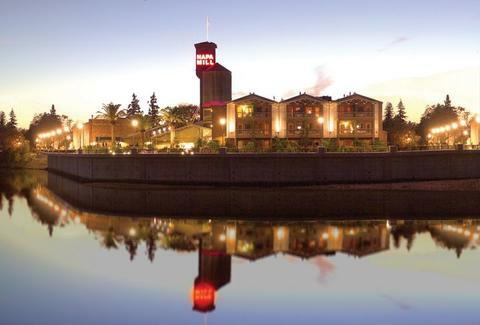 For starters, you'll be staying at Napa's only 3-Michelin-starred joint on the historic Mill, where you'll be granted two tickets to not only ride the legendary Wine Train, but eat a gourmet lunch aboard it, kind of like that time you found Handi Snacks on BART, but even nicer. Back in town, you'll get "Wine Tasting Cards", which'll get you gratis pours at 13 (count 'em) downtown wineries; the next day breakfast'll be delivered to your door from nearby Sweetie Pies Bakery, which better be as cute as it sounds, or else you'll still eat it, but way less enthusiastically. The next day it's back on the shuttle/ferry home, unless you extend your stay by a night, which gets you added benefits like 20% off spa treatments and 2-for-1 cover at Silo's Jazz Club -- expect more free stuff than this, and you better be the Man of Steal.